This week, some of the AfriCom team in Cape Town travelled to nearby Worcester to meet with the newly formed Communication Team at the YWAM centre there. 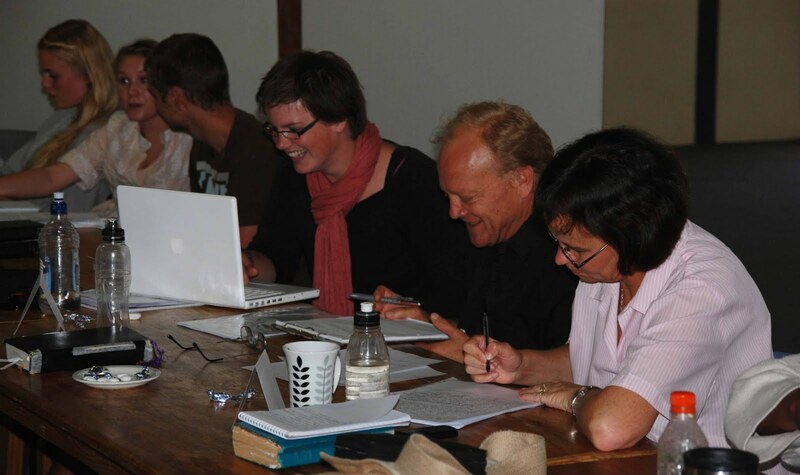 Our connection with YWAM Worcester was strengthened at the end of last year, when we ran a week-long Effective Communication Workshop for their staff. Since that time we have visited monthly to help the communication director in her quest to mobilize a team to work alongside her in serving the communication needs of the ministry and training staff in her YWAM location. This week we were hugely encouraged to meet 6 new Com Team members (currently all part-time) including a writer, photographer, videographer and video conferencing expert. What a great team, each person highly motivated to launch communication initiatives that will help connect missionary staff at this thriving training and ministry centre, as well as promote their work among the local community as well as nationally and internationally. This sort of consultation and support is one of the ways regional Com Teams like AfriCom can help strengthen the work of YWAM at a local level. To find out more about how we can help YWAM in your location, email info@ywamafricom.org.